Welcome to #whatmomsgoogle where your two resident hot-mess-moms discuss what real moms are googling. We don't promise to be right but we do promise to be real and it's highly likely you'll leave feeling better about your parenting. Or, at the very least, slightly entertained (we hope). Abbie and I are sooooo excited to be teaming up for this series and by 'teaming up' I mean Abbie being hilarious and bringing me along for the ride (she's nice like that, that's why we're friends). 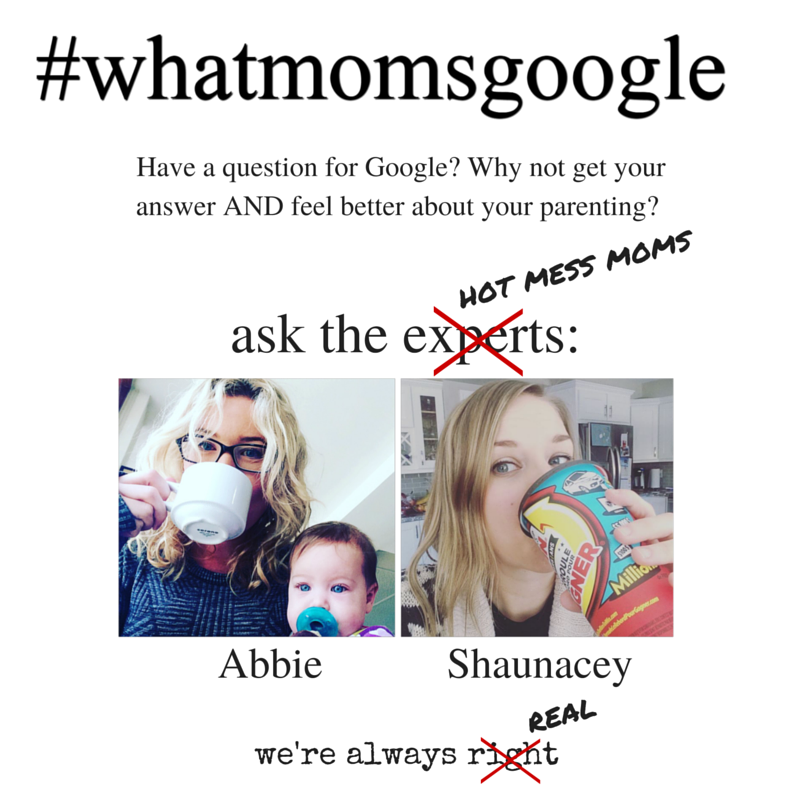 The biggest goal of this is to validate other mommas (and maybe ourselves). Let's be serious, this mom gig is tough and we don't always have the support we need... rest assured, we've got your backs! 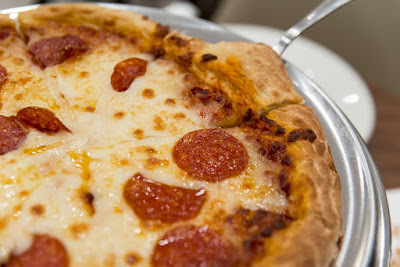 Dear pizza: you are going DOWN. Don't try and fight it, I will win EVERY time. Guys, I love all things dairy. Like, love is the understatement of the century. I could easily survive solely on cheese and ice cream. Who doesn't love a big plate of cheesy nachos followed up with an ice cream sundae? Wow. I think I'm realizing why this baby weight is sticking around. Whoopsies. Anyone else hungry all of the sudden? Sorry, food gets me all aflutter. Back on track: most of you already know little man has a dairy allergy. Needless to say, due to my love of all the dairy goodness, this was a rather sad finding for this nursing momma. But like all you moms, we try our hardest to do what's best for our kids. I quit dairy. All of it. That was 3 months and 10 days ago... not that I'm counting. Where am I going with all this? All I want is a freaking piece of pizza (okay, likelihood I'd be stopping at one piece is slim-to-none and has only happened a handful of times ie. at parties and not wanting to look like the ravenous momster I am, then running home and eating 2 3 more pieces. Don't judge me). Truthfully, I want to go to the dairy aisle, sweep the shelves empty into my cart and go home and drown myself in dairy-goodness. When I made the tentative decision to start giving the little dude some formula, I naturally turned to Google (aka mom's best friend AND worst enemy all rolled up into one colorful package). I searched "formula for babies with milk allergies". A bunch of message boards with people asking "why can't you just keep breastfeeding and stay off dairy?" "you know there are lots of dairy-free options" (um have you tried dairy-free cheese? it's $15 for shredded buttery plastic - YUM). I guess maybe I am being selfish. Enter mom-guilt. 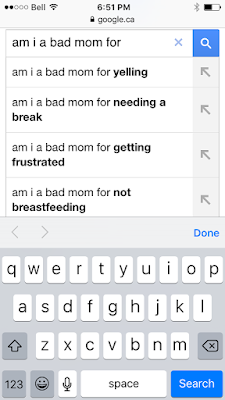 Breastfeeding mom or not, I am about 90% sure that you can relate to experiencing some kind of guilt over feeding. What you feed, how you feed, when you start solids, when you stop breastfeeding... the list goes on. 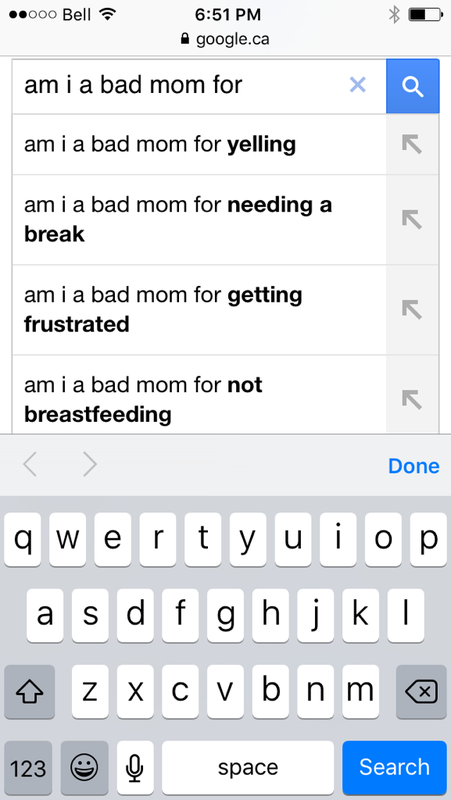 I mean when you type in "am I bad mom for..." in Google, the fourth highest search is "for not breastfeeding". What? Don't even get me started on the first couple... that's a whole other post. Why is the world so obsessed with how babies are fed? Why do people feel like they have the right to weigh in on something so personal? It feels like you get judged no matter what your choice here. It's a never-ending catch 22. Breastfeeding = breast is best IF you're at home or doing it in private and you don't quit too early or do it too long. Formula = non-stop questions about why you're using formula 'couldn't you breastfeed' with the implication that you're somehow being selfish if you chose this route. Because of this judgment, we're constantly doubting our own decisions. I doubted my decision to quit. 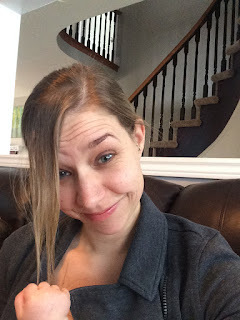 And then, I chatted with some other moms, moms like you (including my hot mess mom counterpart - Abbie). Moms who were supportive and understanding. 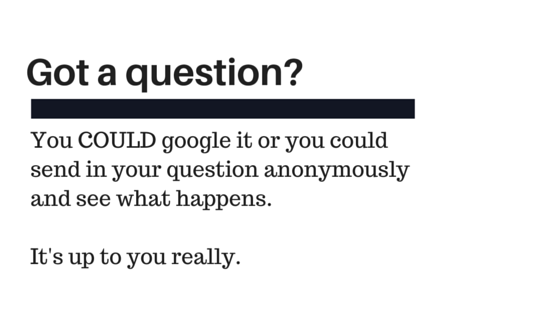 The self-doubt and guilt waned. Whatever my decision was okay and it was mine to make. At the end of the day, we all do what we can for our babies but sometimes we need to do stuff for us, even if that means ending the breastfeeding relationship for a piece of pizza (or the whole pizza and a tub of ice cream... and a milkshake... with a side of nachos). My breastfeeding journey is coming to an end, and no, dairy isn't the only reason, but even if it was, who flippin' cares?! Moms - feed your babies. Period. Full stop. Everything else is just logistics. You think breast is best and it works for you? Then breast feed YOUR babies. Formula feeding the thing for you? Then feed them formula. Don't let anyone, including yourself, make you feel guilty for whatever it is you need and want to do. Now, I'm off to daydream about what kind of pizza I'll be ordering once this little man is weaned.... suggestions? WAIT!!! See that other awesome momma in the pic above? That's Abbie and she's answering too... and so help me, she had better say she's cool with it or we'll need to have a little talk. 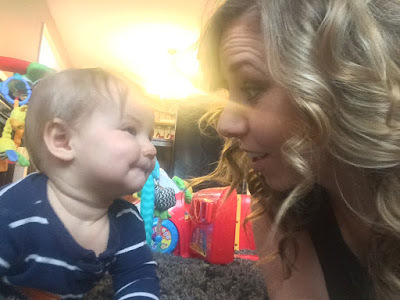 Kelly mom is my go-to for all things breastfeeding... and then some. 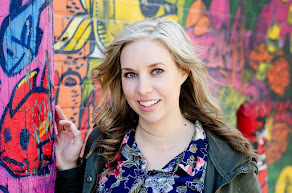 There's some great info on food allergies/sensitivities and what that means for breastfeeding mommas (this was what helped me bring the issue up to my doc. If you have a dairy-free child or even want some more info for yourself, I stumbled upon the blog Dairy Free Baby and Me and it's so full of dairy-free advice/tips/recipes etc. I'm actually slightly devastated that I just found this now because it would have been super helpful the last few months. AND don't forget to come back next week to see how we answer your burning mom questions... or questions about burning something. Whatever. We don't judge.